While relaxing on our friends deck last night, enjoying the warm weather and sipping our summery drinks, I glanced down to see my midsection protruding most undandy-like from my slim-fitting linen shirt. “This has gone on long enough…” I said to myself. I have to start working out again. The problem is, with a newborn and how fast paced out life is during the Summer, it is now near impossible to reinstate my P90X workout routine that did wonders for me last year. I hate to make excuses, but taking an hour and half to work out after work just isn’t possible right now, and there is no way being sleep deprived that I’m getting up 2 hours early before having to be at work. I did it once, it was awful. Thankfully, the NY Times has just released this article showcasing a scientifically proven, 7-minute workout which I am officially starting today. 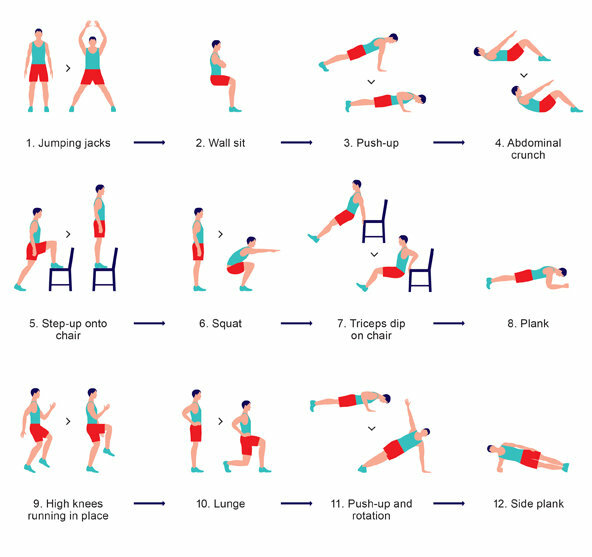 Will this exercise routine provide the same rapid body transformation as P90X? Unlinkely. But it’s a start and a better alternative than just doing nothing. I’ll keep you posted on the results.